In my previous blog I discussed some tips for selecting a suitable live video streaming solution. In this blog, I would like to discuss a few of these providers which are popular in the market. Self Service: DaCast claims that they are the first self service provider in video streaming solution. They allow customization of video content like changing theme, adding watermark etc. Multiple Services: It’s an all-in-one solution providing services like encoding, decoding, analytics monetization etc. It also offers a CDN server. Easy Interface: It provides a very easy and slick interface by which you can customize your video content very easily. Add Remote User via Video Chat: User can join broadcasting using Skype, iChat or any video chatting application. Their built-in desktop presenter utility can capture both video and audio from any video chatting application. HD Broadcasting: UStream allows you to broadcast up to 1080p and use H.264/AAC for crystal clear broadcasting of video. Camera Switching: It supports multiple capture angles. You can connect multiple USB, HDMI or SDI at a time and can switch camera by a simple mouse click. Instant Reply: It captures clip of the live content which allows you to replay them instantly. You can slow down replay, speed it up and can add custom audio as well. It is perfect for streaming sports which needs different camera angles and replay options. Live DVR (Digital Video Recorder): Brightcove offers Live DVR which allows you to pause, rewind your favorite parts of a live video stream. This feature ensures that a user never misses any part of the live video stream. Adaptive Bitrate: It delivers high quality video with adaptive bit rate for live streaming. You can reach your audience via web or mobile devices using HLS and RTMP output. Advertisement, Analytics and Quality Monitoring: It uses a custom video player which is created on their video cloud server to monetize live content using advertising. We can use its analytics feature to analyze the performance of the app in real time using active/total number of viewers. Live Event Support: Brightcove gives you a dedicated engineer for the duration of your live event streaming. They will help you in troubleshooting and monitoring to ensure that your event can stream without any errors. This includes a CDN setup, encoder and configuration as well. Easier Control: The new web based admin panel of Wowza makes Multi-Screen much more accessible to anyone. Previous versions of Wowza were better suited for developers and command line users. The new Wowza Admin Panel has a more intuitive approach to managing streams. The new admin panel has the previous methods of control still intact. Standardized Format: The format MPEG-DASH or dynamic adaptive streaming over HTTP, is the first industry supported and standardized streaming format. 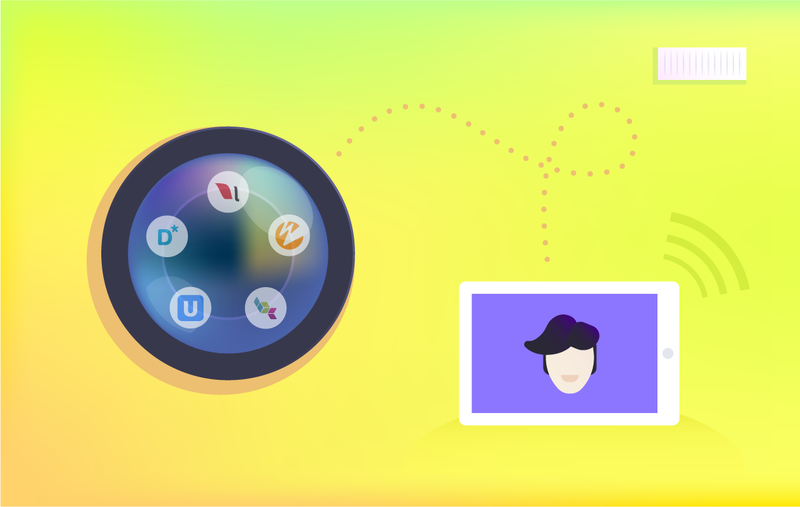 As DASH gains momentum in the streaming ecosystem, Wowza full support for DASH will help not only reach any screen, but do so using fewer streaming formats. Transcoding Performance: When live adaptive streaming first hit the market in early 2008, the only way to create the full set of stream qualities needed for a smooth playback experience across varying player bandwidths and hardware conditions, was to invest tens of thousands of dollars to buy several synchronized streaming encoder appliances. Wowza transcoder comes with built in support and latest graphics processing capabilities. You can buy single common server and convert several incoming HD streaming. Cross Platform: Wowza is cross platform with a broad range of APIs for Android and iOS devices. They have a comprehensive SDK for encoder settings. Robust Platform: Livestream provides both hardware and software options for video streaming on MAC, Mobile devices and PC. Easy to Use: It is very intuitive and cost efficient and the quality of Livestream is truly unmatched. Its setup takes very little time and you are ready to go quickly. Storage: It offers archival of the streams with unlimited storage, allowing anyone that misses the stream to be able to watch it at a later date. I hope this information was useful. Feel free to drop your comments in case you have any doubts. Thank you reading.